Fired whenever the shadow position changes during drag and drop event moving. Fired whenever the selected time range changes during drag and drop. 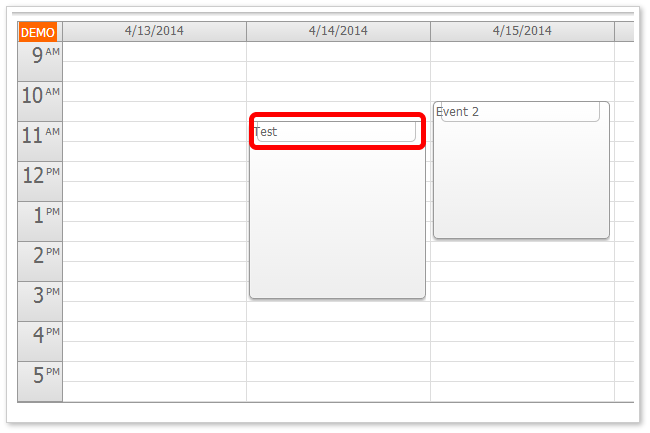 Event deleting is now integrated in the scheduler and you can enable it simply using .eventDeleteHandling = "Update". The default value of eventDeleteHandling is "Disabled". 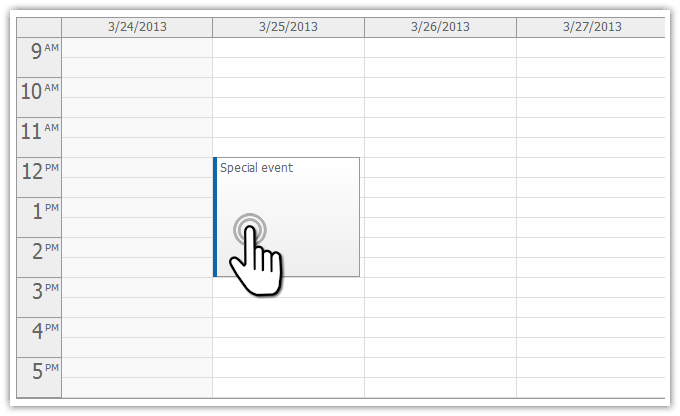 You can still add custom actions and icons using event active areas. Read more about event deleting [doc.daypilot.org]. Enable it by setting either rowClickHandling or rowDoubleClickHandling to "Select". Supports selecting multiple rows by hodling "Ctrl". Touch gestures are now supported on Windows 8 touch devices. You can add custom drag handlers using active areas. The active areas with "Move" action are now supported on touch devices and you can use them to move the event using a finger.